The 29-year-old, who ended his amateur career in July by signing up with the UK-based and Francis Warren-owned Queensberry Promotions, was supposed to make his debut this month but that had to be postponed owing to a legal tussle with his employers -- Haryana Police. Star Indian boxer Vijender Singh will make his much-awaited professional debut on October 10 even though his opponent for the bout is yet to be decided. "All-action Vijender Singh's first fight will be over four rounds in the middleweight division, against an opponent to be confirmed shortly. Singh will be competing in one of the hottest weight classes in world boxing with elite fighters Gennady Golovkin, Miguel Cotto, Andy Lee and Billy Joe Saunders all campaigning at 160lbs and he aims to be in their position one day," Queensberry Promotions said in a statement. Vijender, India's first Olympics and World Championship medal winner, will make his long-awaited professional debut at the Manchester Arena, England. 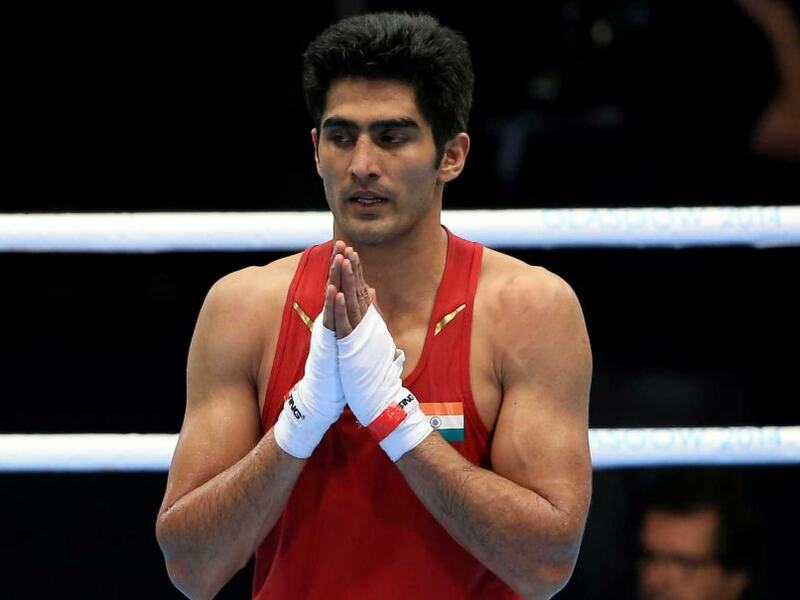 The development comes after Haryana Police allowed Vijender to compete in the pro circuit after few weeks of wrangling over whether he could take up assignment while being a government employee in India. "I'm so excited to be making my professional debut at the Manchester Arena on Saturday, 10th October and to show that India is the new force in professional boxing. Thanks to Francis and everybody at Queensberry Promotions for the very warm welcome and I can't wait for my fight to be televised on BoxNation," Vijender said. "This means so much to me personally and to all my fans back home in India who have supported me all this way and will now follow me on my journey to become the first boxer in India to win a world professional title. "Training now as a professional is totally different to my amateur regime and I'm loving the training with Lee Beard who has taught me so much in a short space of time. We are working great together and now I want to put into practice what I have learnt. I'm still learning all the time and there will be plenty to come from me. I believe that this is going to be a very exciting time," added Vijender. The Haryana lad will begin his pro career on the double world title show headlined by Terry Flanagan's WBO World Lightweight title defence against Diego Magdaleno. Also fighting there would be Liam Smith for the Vacant WBO World Super-Welterweight title against John Thompson.